Sydney is widely considered one of the most expensive cities in Australia. But that doesn’t have to be the case for your next trip. There’s a whole heap of places you can visit and iconic attractions to see that don’t cost a cent! 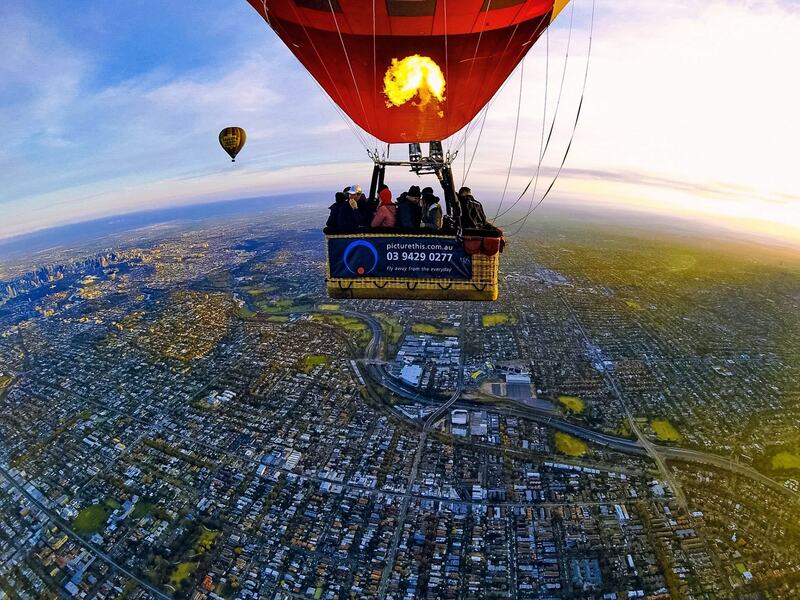 Check out this list of 21 free things you can do on your next visit to Sydney. For the perfect view of both Sydney Harbour Bridge and the Sydney Opera House, head to Mrs Macquaries Chair. 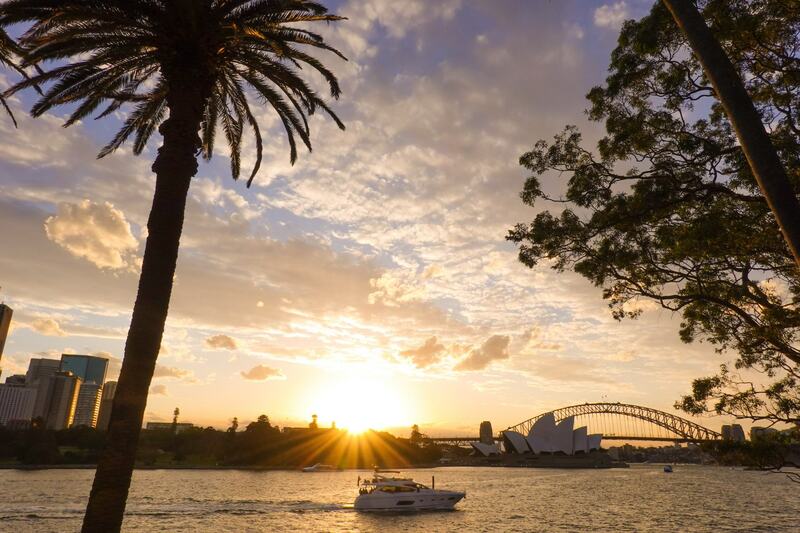 We highly recommend visiting at sunset to watch the sun set behind these infamous Sydney icons. How to get there: Walk around from the Sydney Opera House or Sydney Botanical Gardens. 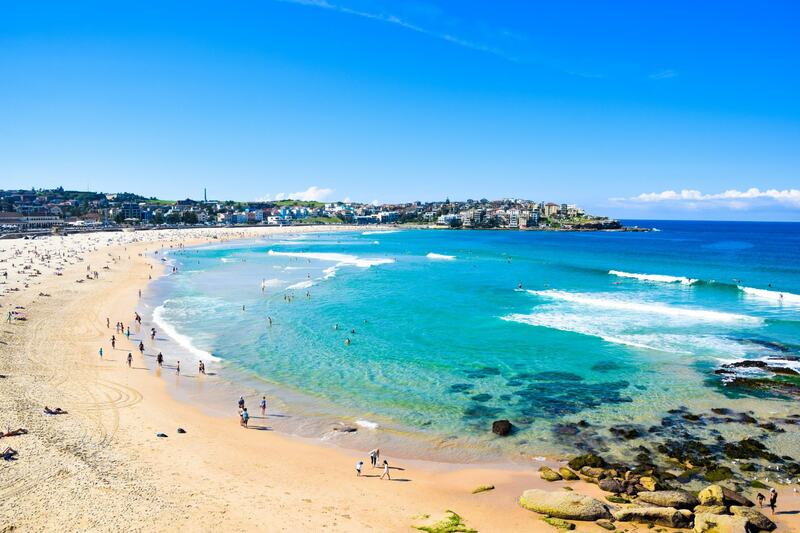 Australia’s most famous beach and home to the iconic Bondi Lifeguards, Bondi Beach is defintiely a can’t miss, no matter how many times you’ve been to Sydney. How to get there: Catch the train to Bondi Junction, or bus 330 or 380. 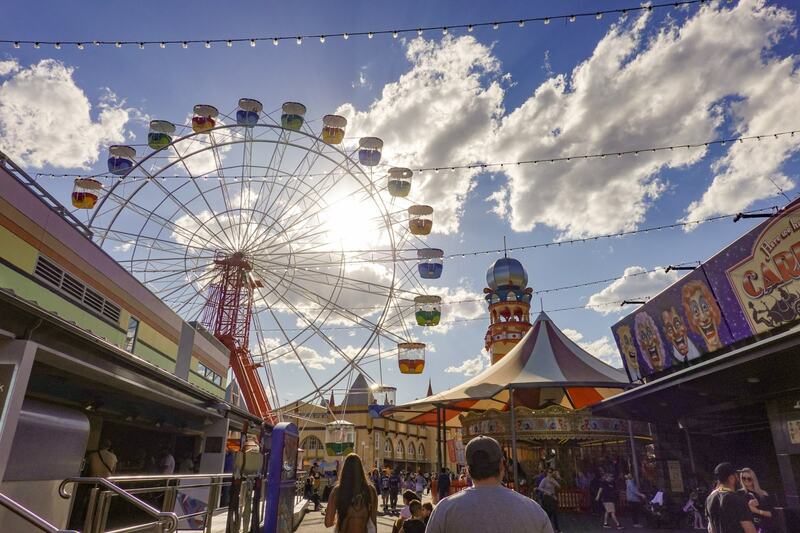 Soak up the laughter and happiness at Luna Park, with free entry to all. It’s a great place to stop for a drink, with the bar and restaurant looking right over the harbour. Opening hours: Changing thoughout the year, it’s a good idea to check out their opening hours for more information. 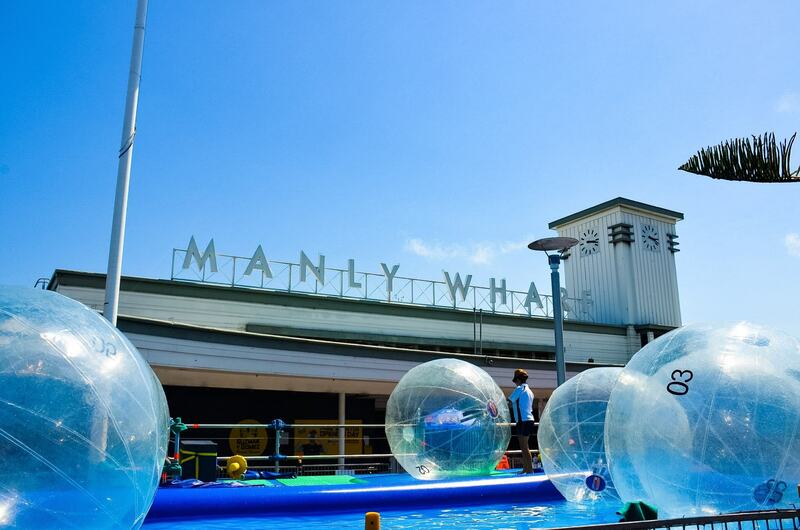 How to get there: Catch the ferry from Circular Quay to Milsons Point Wharf right out the front of the iconic Luna Park face. Alternatively, you can catch the train to Milsons Point Station on both the Northern and North Shore/Western Line, the bus to Milsons Point or there’s parking just around the corner. Across the other side of Circular Quay, the North Head Lookout is a heath covered cliff with stunning views over the skyline of Sydney CBD. The most scenic and beautiful walk in Sydney, the Bondi to Coogee coastal walk will take you past some of the best beaches in Sydney as well as the rocky cliff coastline. 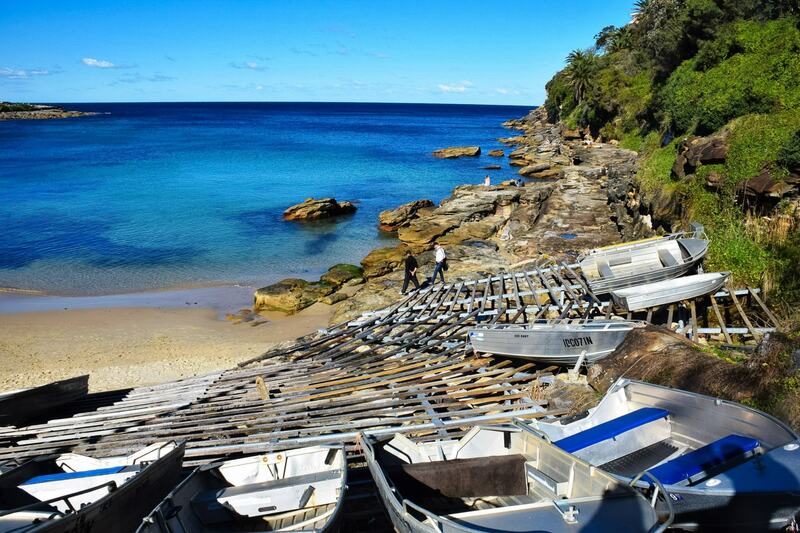 In spring you can also check out the Sculptures by the Sea art instillation’s near Tamarama. How to get there: Catch the train to Bondi Junction or bus 333 or 380. It costs money to climb the bridge, but you can actually walk across the bridge and still check out the views for free. The bridge has a dedicated pedestrian lane away from the traffic where you can take your time to enjoy the views. This beautiful shopping centre was built in 1898 and is still standing strong featuring it’s elaborate Roman architecture. Now the home to one of Sydney’s grandest shopping malls, it’s a can’t miss. Opening hours: 9am – 6pm Monday, Tuesday, Wednesday, Friday & Saturday, 9am – 9pm Thursday and 11am – 5pm Sunday. How to get there: Catch the train to Town Hall Station or the bus to QVB Bus Station. 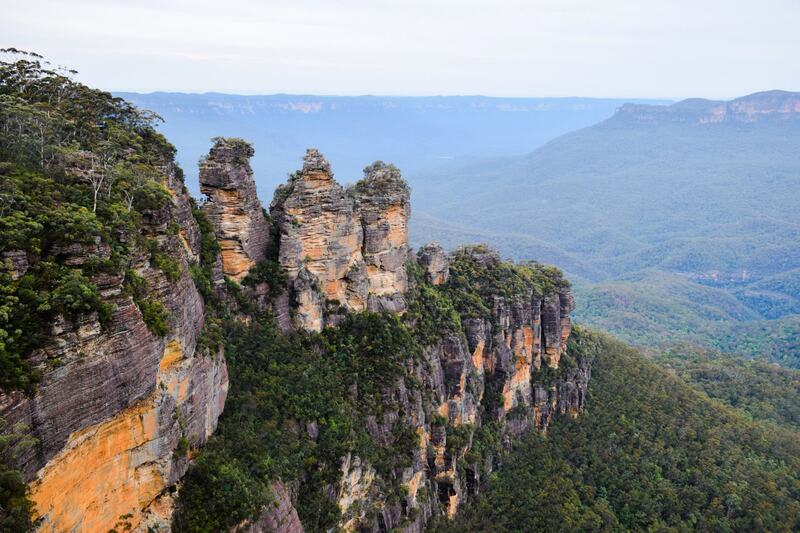 About an hour out of Sydney, the Blue Mountains are a beautiful way to get back to nature and experience some of Australia’s stunning outdoors. How to get there: By car take the M4 out of Sydney, and if you’re coming by train take the NSW Intercity train to either Parramatta, Strathfield, Penrith or Emu Plains. One of Sydney’s most historical parts of the city, The Rocks is where Sydney began. It’s the home to Australia’s oldest pub, and this museum is dedicated to this unique part of the city. How to get there: Catch the train to Circular Quay or the bus to Bridge Street. To find out even more about The Rocks and it’s hidden hot spots, you can jump on the Rock I’m Free walking tour, which departs each night at 6pm from Cadmans Cottage (water side). This walking tour takes about 1 and a half hours and shows you the best of The Rocks and Circular Quay. 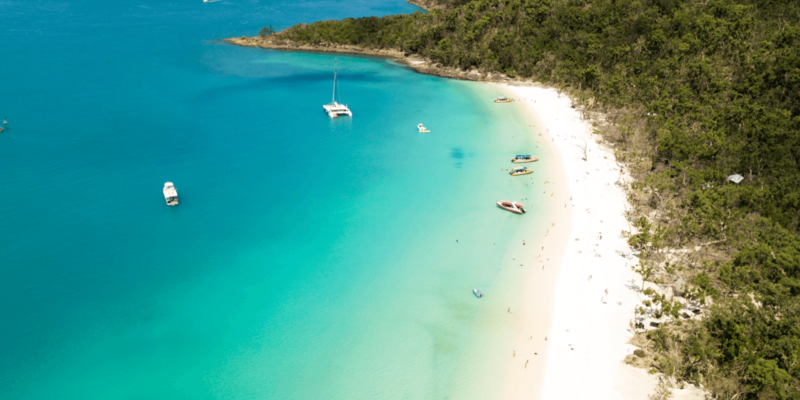 Just across the harbour, Manly is where you can quickly escape city life and spend the afternoon strolling down the corso and relaxing on the beach. 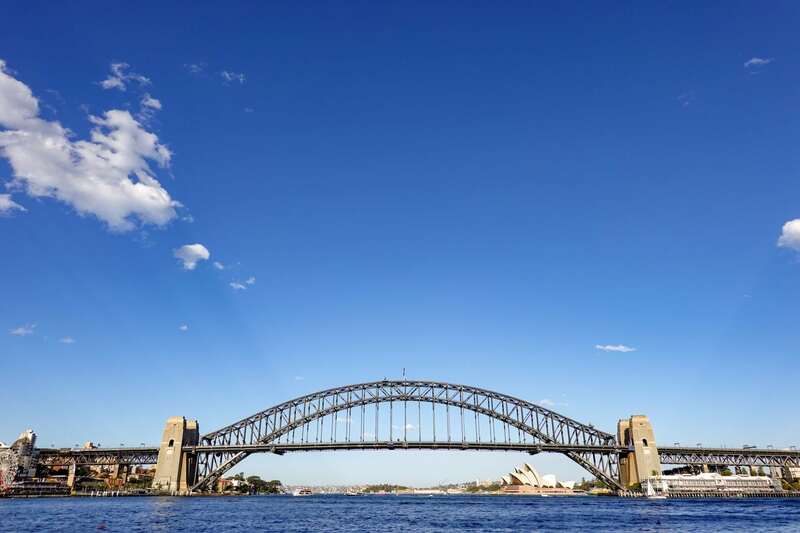 How to get there: Catch the ferry from Circular Quay to Manly. With everything from Indigenous Aboriginal to Asian art on display, the art gallery of NSW offers free entry to visitors. There’s also free talks and films that you can attend on Wednesday nights. Opening hours: 10am to 5pm every day except Wednesday when it’s open until 10pm. How to get there: Catch the train to St James or Martin Place or bus number 441. Other free galleries in Sydney include: Museum of Contemporary Art, White Rabbit Gallery, Conservatorium of Music, Birds Australia Discovery Centre, and Sydney Observatory. This iconic venue is an infamous symbol of Australia, as well as being the home of arts and culture in Sydney. 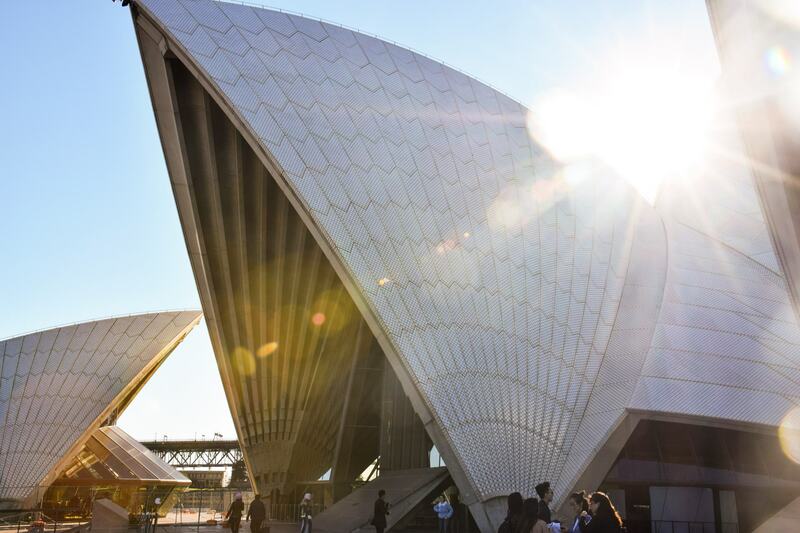 Opening hours: Events and tours inside the Opera House will require a ticket, but you can check out the iconic views from the outside at any time! How to get there: Catch either the train or bus to Circular Quay. 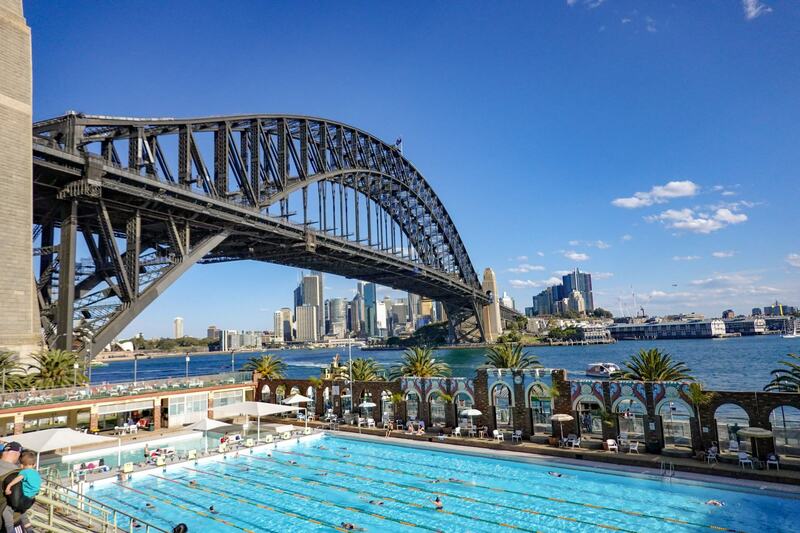 Popular with both locals and visitors, the ocean pools around Sydney’s beaches offer lap swimming amongst the ocean waves. 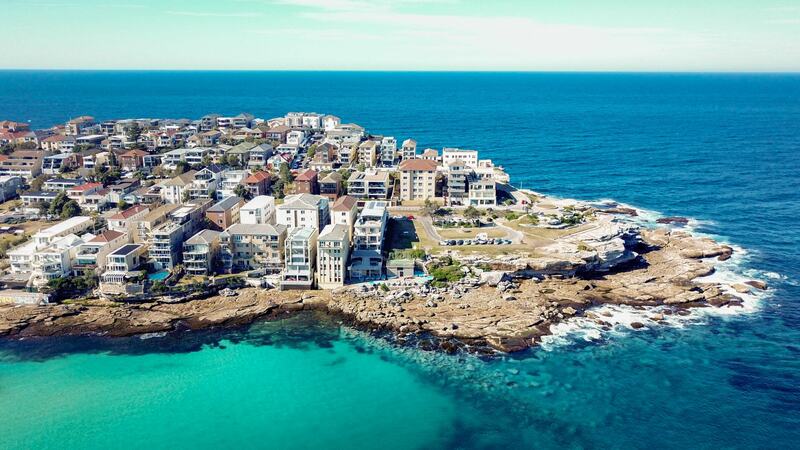 Address: Hit Bondi or Bronte beach for the most well-known ocean pools. Opening hours: Generally open 24 hours, although they are sometimes closed or drained for cleaning. This 30 hectare park in the heart of the city, is within walking distance of heaps of major attractions, and the perfect place to stop for a picnic lunch after a morning of sightseeing. Opening hours: Hours change depending on the month and season, but generally between 7am and 5pm. How to get there: Catch the train to Martin Place or bus 441. 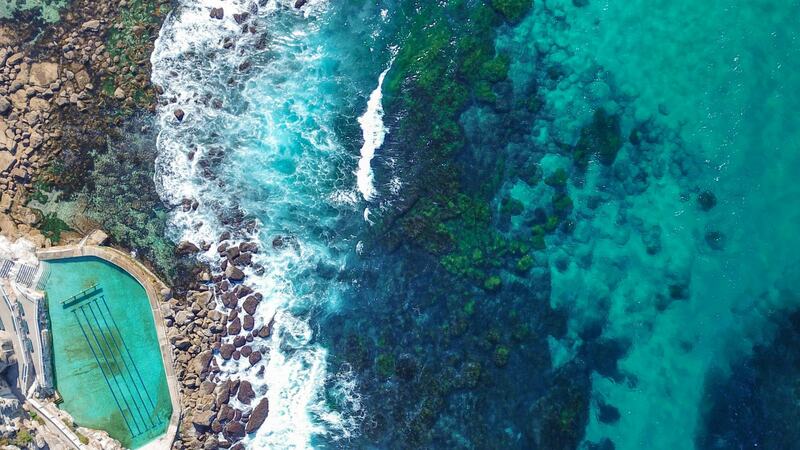 Check out Gordon’s Bay, Clovelly or Shelly Beach to get up close and personal to some of Sydney’s marine life. 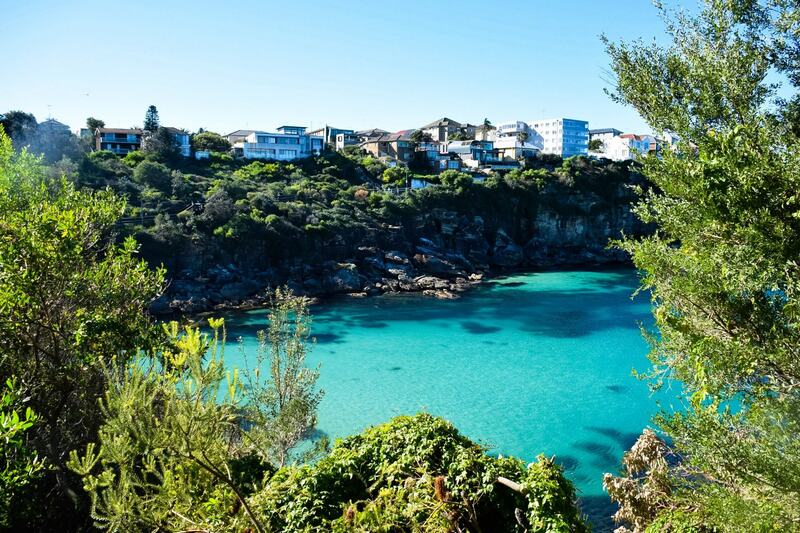 Address: Shelly Beach is in Manly, while Gordon’s Bay and Clovelly are found along the Bondi to Coogee coast walk route. 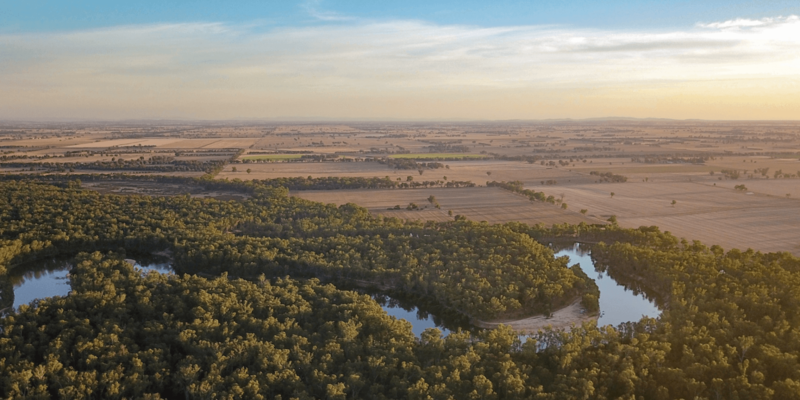 Covering 360 hectares of land, the Centennial Parklands are a historically significant place in Sydney, as the home to the Australia Federation monument, the Federation Pavillion. 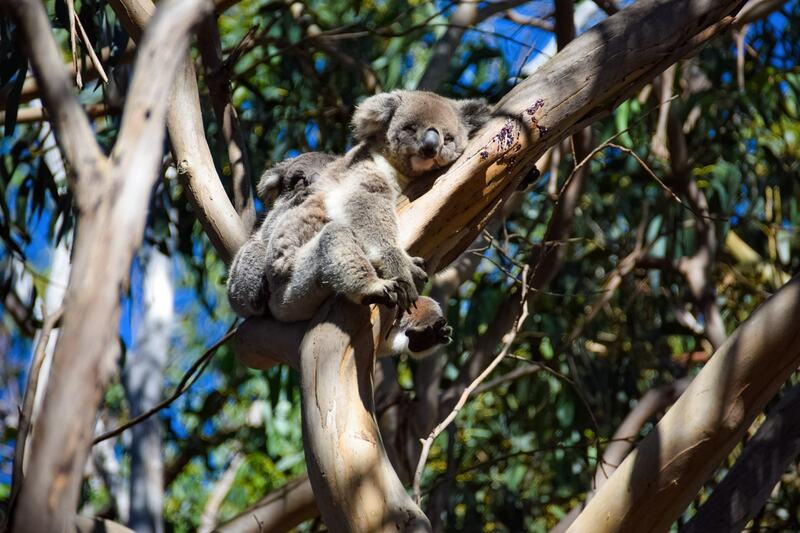 There’s a number of activities to try in the park, including their free discovery walks to learn more about park life in Australia. Opening hours: Open every day, however generally vehicle access is only allowed between sunrise and sunset. This one is not quite free (you will have to pay an admission if you want to swim in the pool), but if you ask nicely, the guys at the Olympic Pool might let you in for free to check out the views from the top of the grand stand. Opening hours: 5:30am – 9pm Monday to Friday, 7am to 7pm on Saturdays, Sundays and public holidays. 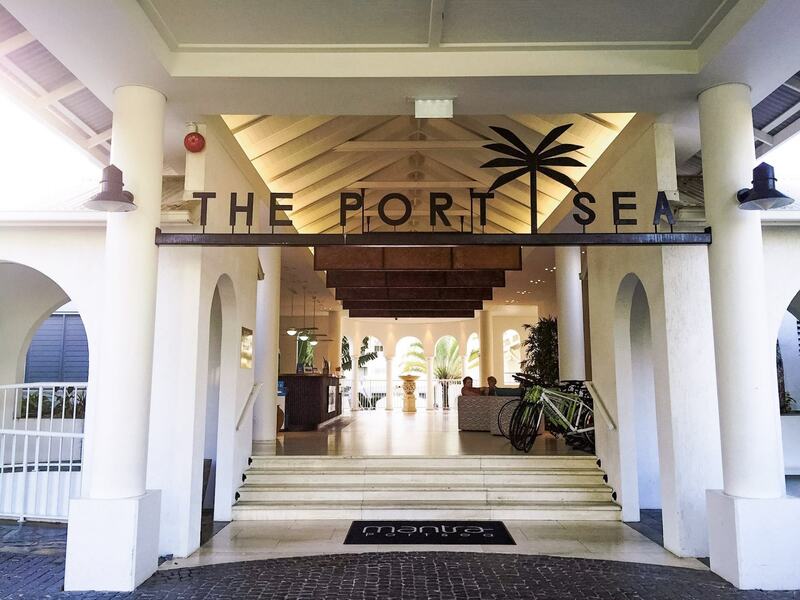 How to get there: Catch the ferry from Circular Quay to Milsons Point Wharf right out the front of the pool entrance. Alternatively, you can catch the train to Milsons Point Station on both the Northern and North Shore/Western Line, the bus to Milsons Point or there’s parking just around the corner. Located within Sydney’s Royal Botanic Gardens, this is the official residence of the Governor of NSW. Opening hours: 10:30am to 3pm on Friday, Saturday and Sunday. Free admission is by guided tour only. How to get there: Catch the train or bus to Circular Quay. 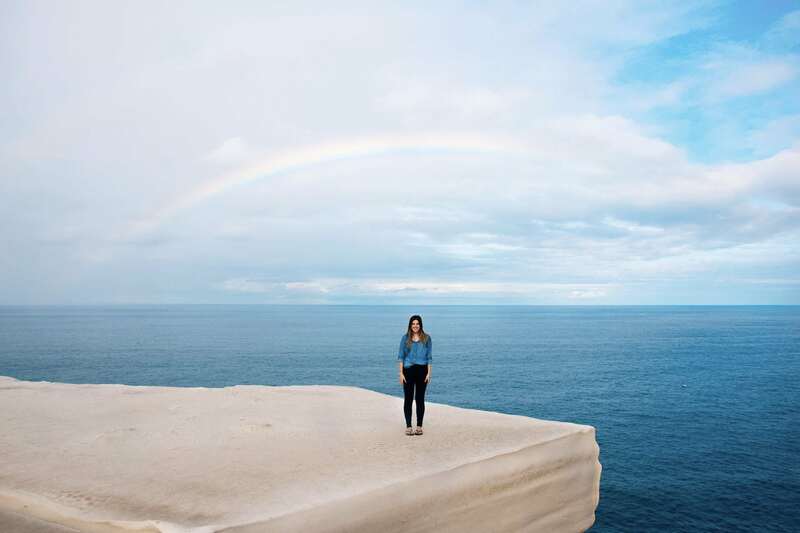 Royal National Park is the second oldest national park in the world, home to the wedding cake rock and numerous beautiful hikes along NSW’s rocky coastline. How to get there: About a 40 minute drive from Sydney, Royal National Park is very easy to get to by car. If you’re caching the train, take the Illawarra line to Loftus, Engadine, Heathcote, Waterfall or Otford or the CityRail train to Cronulla. Looking for laughs or entertainment? Hit up some of Sydney’s free gigs for a night of no cost entertainment. There are all sorts of free comedy shows and free live shows that you can head to most nights of the week. 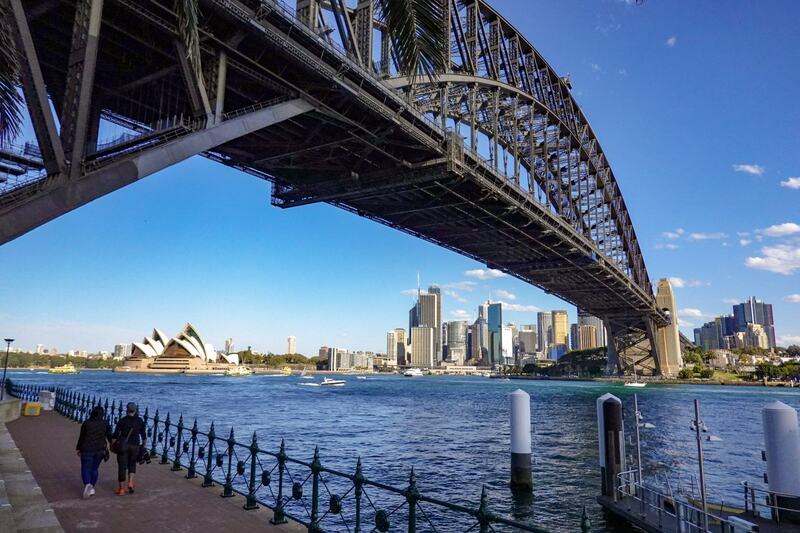 To see the best of the best that Sydney has to offer, and to learn more about Sydney’s heritage and historical background, take a free walking tour around the city and learn from the locals. Opening hours: I’m Free tours run every single day of the year, at 10:30am and 2:30pm. The tour runs for up to 3 hours and there’s no need to book, you can just show up if you want to join! There you have it, proof that you can visit all the best places in Sydney without breaking the bank. 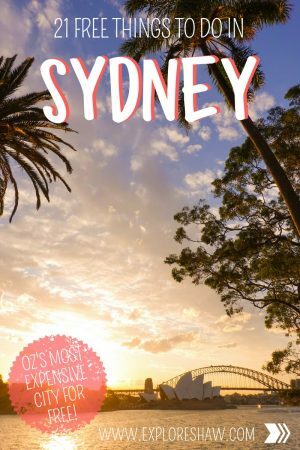 Beaches, iconic landmarks, national parks and even walking tours where you can learn more about the city – all free around Sydney! Do you know any other awesome free places to visit in Sydney? Leave it in the comments below. I`ve come about your blog by chance and I`m glad I have. Very useful and exciting information. My husband and I will be travelling to Australia on Dec 27th and we are very much looking forward to seeing parts of the country, its nature and many sights. We’ll be staying in Sydney for some days, then fly on to Brisbane and then explore Queensland by car up to Port Douglas. 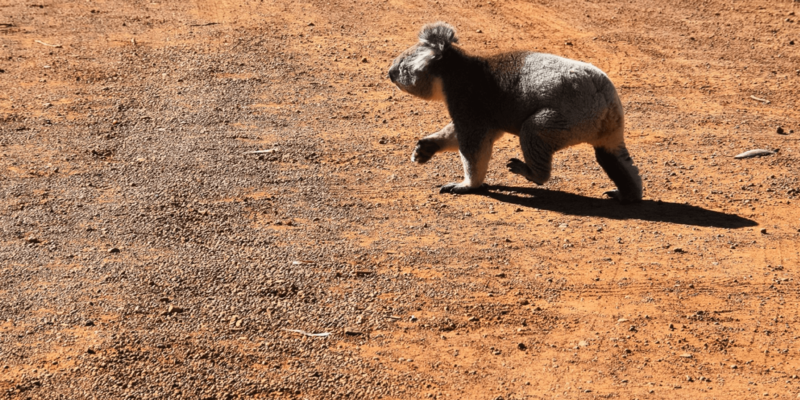 Our next stop will be at the Red Desert for some days, then it’s Adelaide , Kangaroo Island and along the Great Ocean Road to Melbourne by car again.